When animals meet again with the people they love, the scenes are really touching. Such is also a video clip in front of you, for which we recommend that you prepare tissues before watching it. Nick Pierzchalski is a member of the National Guard in Florida, who met a young Shepherd mix while serving in Iraq. The dog immediately made a bond with Nick, they became inseparable. He even built an enclosure for her, and together they often had fun and joy. Unfortunately, their friendship ended because Nick had to return to the US. At home he was often thinking about the dog from Iraq, and spent a lot of time on the question of how to get the dog to his place. Well, probably everyone can now guess what happened next! Nick arranged all the necessary papers to meet again with his old friend. They picked up the dog from Iraq and flew her to Tampa International Airport, while their reunion was also captured on cameras by journalists from Fox 13 New Channel. 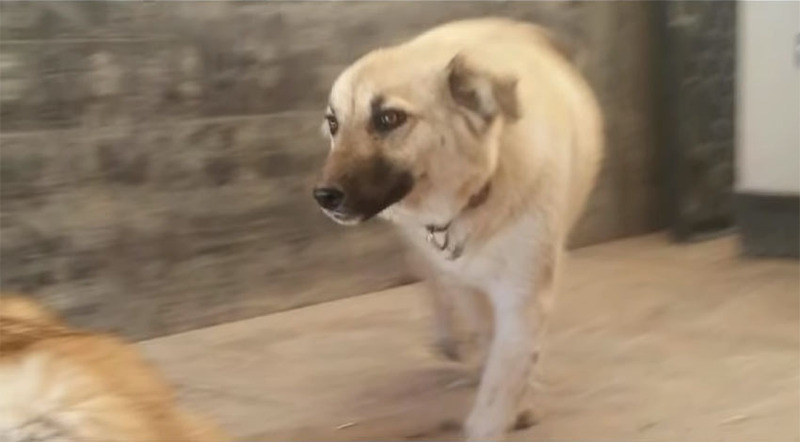 Nick was initially concerned at the fact that the dog would not recognize him any more, since it has been a long time since they were together. But when the dog was released from the cage, all his worries were forgotten! She ran straight towards him, and there she cheerfully waved her tail, showing him how happy she was. There is even no shortage of dog crying, which has hit many spectators straight into the emotions. Take a look at the scene from the Tampa International Airport where there was no shortage of joy at this special reunion. We really hope that Nick and his dog will share many wonderful memories for many years!